Egypt veteran goalkeeper Essam El-Hadary hinted his intention to continue his international career in the upcoming 2019 Africa Cup of Nations which will be held in Egypt. El-Hadary announced his international retirement in August last year after 159 international caps with the Pharaohs. He became the oldest player to ever participate in the World Cup when he started for Egypt in their final group stage encounter against Saudi Arabia in Russia 2018. 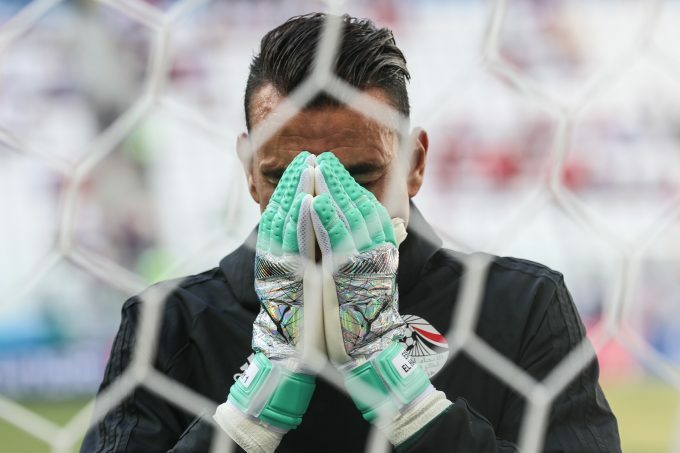 “My ultimate goal is to be Egypt’s goalkeeper in the coming Africa Cup of Nations,” the goalie said on his official Facebook page on Tuesday. Recently, the 46-year-old has agreed to join Nogoom FC on a free transfer after terminating his contract with Ismaily. If successful, newly promoted side Nogoom FC will become Essam El-Hadary’s 10th club in his long and illustrious career. Egypt goalkeepers coach Ahmed Nagy said before to Al Nahar TV channel that El-Hadary can join the national team if he is playing regularly with a club.